SEOUL -- Hyundai Motor Group, lagging behind rivals in the introduction of electric vehicles, is stepping up plans for battery-powered cars as world governments crack down on polluting fossil fuels. 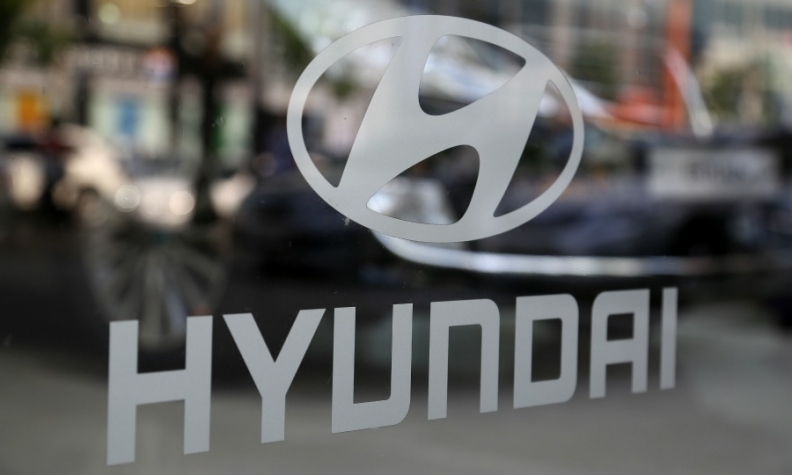 Hyundai Motor and affiliate Kia Motors plan to bring to market as many as 38 green cars in the next eight years, including seven new models in the five years through 2025, Senior Vice President Lee Ki-sang told reporters Friday. Many of them will be EVs. While Hyundai’s Ioniq and Kia’s Soul are the only EVs from their stable at present, the hydrogen-based fuel-cell ix35 and some plug-in hybrids are also on offer. The Korean companies are among manufacturers in a global race to develop vehicles with alternative power trains as countries, led by China, prepare to phase out the use of gasoline and diesel powered cars in their fight against pollution. Volkswagen Group, Daimler, General Motors and BMW have also announced plans to introduce electric vehicles, vowing to spend billions of dollars in their transition away from internal combustion engines. Sales of environment-friendly vehicles at Hyundai and Kia reached 186,000 units in the nine months through September, according to data provided by the company. In September, VW announced plans to build electric versions of all 300 models in the 12-brand group’s lineup by 2030. GM said it will offer 20 models powered only by batteries by 2020. The Renault-Nissan-Mitsubishi alliance plans to introduce 12 new purely electric vehicles by 2022. Daimler AG plans to release 10 electric vehicles by 2022 while BMW plans to offer at least 12 fully electric vehicles by 2025. Even as batteries have established themselves as the way forward in the industry’s transformation, Hyundai is still betting on the development of hydrogen-based fuel-cell technology, which is struggling to gain wider acceptance in the market. The Korean company has entered into talks with Fiat Chrysler Automobiles for a partnership to build hydrogen-based engines, which emit nothing but heat and water and none of the gases blamed for global warming. Hyundai is seeking flexibility in its approach to green car development, said Lee. Hyundai plans to start producing a new fuel-cell SUV in March with about 800 km (500 miles) of driving range under European standards. As for battery-powered cars, the automaker will introduce the electrified Kona SUV with a range of about 400 km (250 miles) next year, while its Genesis brand will release a luxury EV with a range of 310 miles after 2021. The automaker has vowed to introduce more SUVs in the U.S. to help stem declining sales. It also struggled in China earlier this year because of geopolitical tensions and disputes with local vendors.